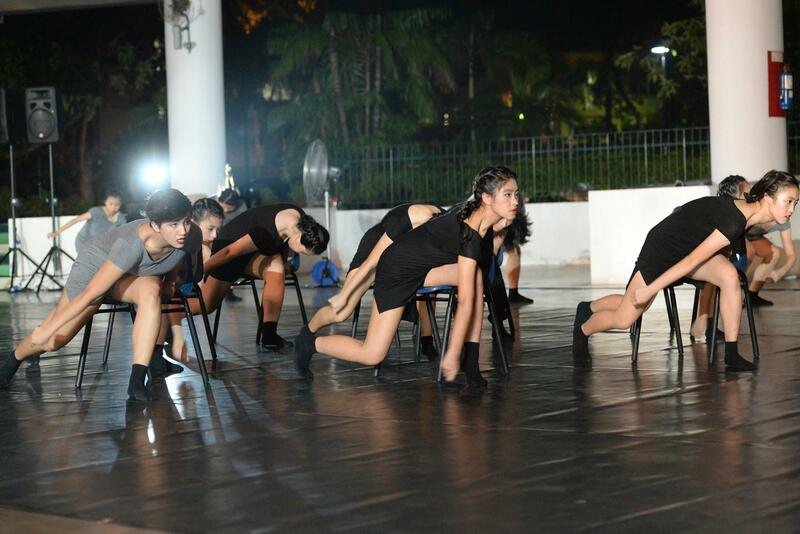 Vibrant and tightly-knit, Raffles Modern Dance is a CCA centred on modern and contemporary dance. Under the tutelage of resident choreographer Ms Low Mei Yoke, co-founder and artistic director of Frontier Danceland, dancers are nurtured into confident, creative and tireless individuals who are both team players and able performers. Practices integrate contemporary dance technique, improvisation, presentation, stage experience and Ms Low’s unique movement style, challenging dancers to explore and understand the limits of their body. 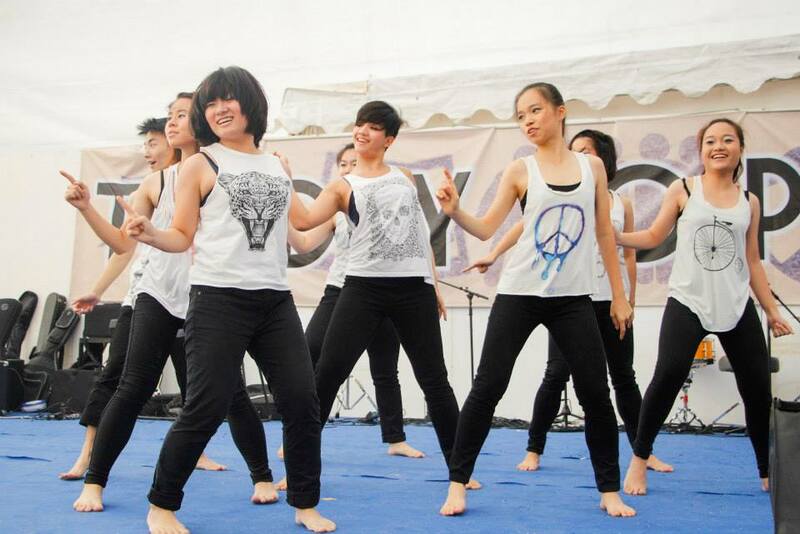 Every year, there are numerous opportunities for Modern Dance to perform, such as the biennial Singapore Youth Festival (SYF), as well as major school events such as Arts Season. These platforms serve as excellent opportunities for members to mature as dancers, improve their stage presence and gain experience. Under the guidance of Ms Low, dancers are also given chances to choreograph their own items for non-SYF performances, enriching their understanding of dance composition. 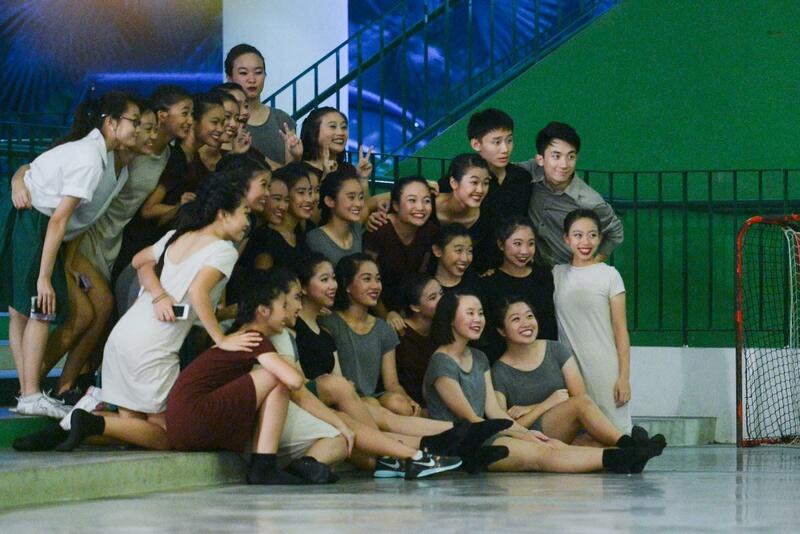 Over the past few years, Raffles Modern Dance has attained Gold with Honours in various SYF competitions. Following the recently revamped award structure, we attained Distinction for our item in 2013 titled ‘In or Out’, and are currently preparing for SYF 2015. 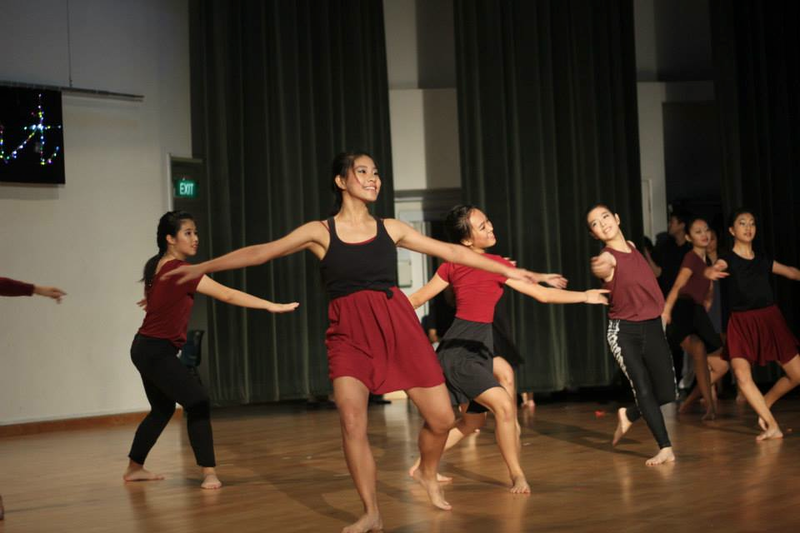 Modern Dance meets twice a week on Mondays (4.00pm – 6.00pm) and Wednesdays (2.30pm – 5.30pm). Nearing performances, practices may be lengthened and increased to three times a week. During the holidays, practices will be held during the earlier half of the holiday period. Auditions for Modern Dance consist of two stages. The first stage requires participants to learn a set of choreography, while the second requires participants to perform a short self-choreographed routine. Selection is based on ability to learn quickly and overall performance. Dance background is not a requirement, and all are welcome! Organising outings throughout the year, such as attending dance performances or workshops together, is an essential part of being in Modern Dance. These outings allow us develop greater understanding and appreciation of the art form on a professional level, and more importantly bond us together outside the studio. For many of us, the hours of blood, sweat and learning experiences in the studio mean that our batchmates grow to become our second family. Ultimately, this CCA allows members to enrich their passion for the art form and grow as dancers, while forging meaningful friendships with those who share the same joy in dance. If you love to dance, love the stage or enjoy challenging yourself physically and mentally, do sign up for auditions! We look forward to welcoming you into the Raffles Modern Dance family!